Ok so IKEA don't know the answer to this one, so it's down to the EF. That's not a lock, it's an opening delay. You might find a sewing needle easier for finding the notch. Hammer and a cold chisel ? If you have no success, simply try systematically every combination between 000 and 999. And report back in 3 years or so? If you start at 0 0 0 and try every combination it will take a maximum of 30 mins, or less if the first digit is not a 9 ! I know as I did the same with our TSA lock on our suitcase, but you will get a sore index finger! That would be one attempt per day approximately. Surely one could work faster than that. I know :-) But it will be a sore finger after that. And no result if that lock is broken? They are incredibly easy to open without knowing the combination.. But it's kinda hard to describe. I do in IKEA just for fun. This does not require skill, just feel..
What you need to do, turn the knob so that you can feel light resistance, not forcing it.. Now turn the number, any order.. Feel for something different, it'll sort of feel like less resistance as it falls into it's correct position, do this while keeping the light pressure on.. Do it with each of the three wheels .. As you get the position of the last one it'll open. Honestly it's that easy.. You just need to get/learn how it feels.. Same applies to 90% of locks like this, cheap bike locks, padlocks, suitcases etc. In addition since you forgot the step which wheel to pick first. Then feel which one of the 3 wheels has the most resistance, this is the one the lock is pressing most, so start with that one. Keep pressure steady and try all numbers, on the right number you will feel that with steady pressure the pressure moved on to one of the remaining two wheels, so now set that one proper and do the last. Don't know these exact IKEA locks, but a standard 3 number bike lock takes 10 second max to open. Can't imagine these lock to be of better quality. Source: I grew up living in a Dutch town centre and preferred cycling above walking. Also I am amazed how many people still use those locks in Switzerland, might as well not use a lock at all. Could be an insurance thing. Same here with a mailbox "lock", for which the landlord had forgotten the combination. 1000 combinations max. Just a little patience, a glass of beer and a bit of time, more is not needed. 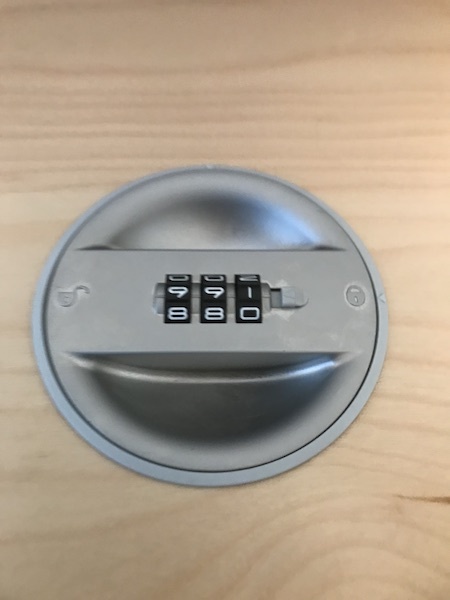 A four digit lock once took me half a day to crack, and I was lucky because the code was somewhere in 600s. Come on Goose, you‘ve had all day now. Did you crack it? Nope... I cracked a tinney and started watching season 5 of Vikings. I did managed to jump I door off a runner, which allowed me to get in behind it and spring the locking bar, which release the lock. So it's open, and at some point I'll strip out the old locks and fit new ones. These locks re once set thats it, you cannot reset them, so if they start to play up, they are toast. Thing is, what happens to the ones in the stores where please mess with them and this happens? It‘ll provide an alternative to the ball pit next time I get bored in an Ikea shop. A handy worker opens it within a minute.